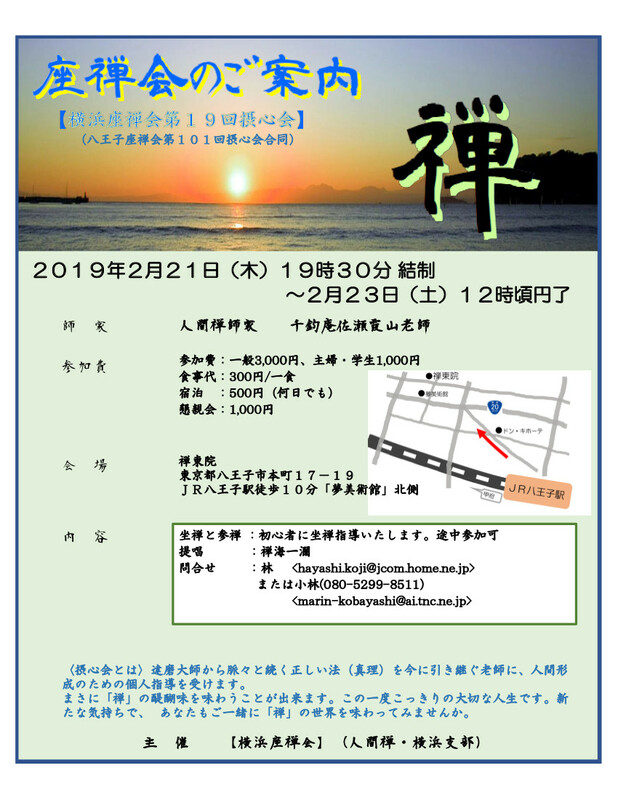 We "Yokohama-zazen-kai", will make the 19th Zen-meditation session. This is the formal session by way of Zen. Admission fee JPY3,000(Student fee 1,000). Lodging charges JPY500.Regardless of the number of nights.